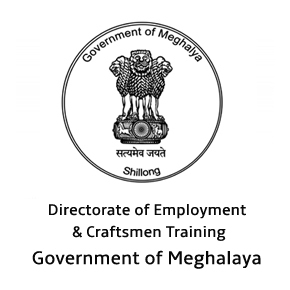 DECT Meghalaya Notification 2018.Directorate of Employment & Craftsmen Training Labour Department Meghalaya has released a notification for the recruitment of Training Officer vacancies.Check the eligiblity and notification prior to apply for the positions. Diploma holders in agriculture/ horticulture/ civil engineering/ mechanical engineering/ hotel management etc disciplines from a recognized university. In between 18 to 27 years candidates can apply for the above-mentioned vacancy. Mode of applying for DECT Meghalaya Recruitment 2018 is through online/ offline modes. 26th October 2018 is the last date to submit applications. Candidates can forward the application form to dectmeg@gmail.com or can send the duly filled application form to below given address. Directorate of Employment and Craftsmen Training Keating Road, Grove Site, Shillong-1.